Are you dealing with sagging skin or excessive wrinkles that make you look older than you feel? With a facelift at Roger T. Brill, MD, in Gainesville, Florida, you can get a more youthful, rejuvenated appearance and feel like yourself again. Both surgical and minimally invasive facelifts are available to help you achieve your aesthetic goals. Call or schedule a consultation online today to learn about your options. A facelift surgery lifts sagging, wrinkled skin to restore a more youthful, smooth appearance to your face and jawline. As you age, the muscles of your face become weak — causing sagging and the appearance of jowls along your jaw. Repetitive muscle contractions can also cause deep wrinkles in the forehead between your eyebrows and around your eyes and mouth. If you’ve tried over-the-counter creams, injections, and chemical peels without seeing good results, a facelift may be your solution. Dr. Roger Brill offers traditional facelifts and minimally invasive FaceTite radiofrequency-assisted procedures. Depending on the condition of your skin and your aesthetic goals, Dr. Brill recommends the best procedure to meet your needs. Your age and overall health can be factors in determining whether FaceTite is best for you, e.g., if you are younger or want to avoid a complex surgery. However, if you want a more dramatic change in your appearance or have more extensive health concerns, Dr. Brill may recommend a traditional facelift. With a traditional surgical facelift, Dr. Brill performs either a mini-facelift or standard facelift. A mini-facelift is best if you have mild signs of sagging and jowling, whereas a standard facelift is best for moderate to severe signs of aging and sagging. During either procedure, you may be under generalized or local anesthesia, depending on the extent of the procedure. Dr. Brill makes incisions along your hairline and behind your ears to carefully separate your skin from the underlying muscles and connective tissues. Dr. Brill then gently smoothes your skin upwards to reduce sagging, jowls, and wrinkles. Your facial skin is then reattached surgically along your hairline and behind your ears. FaceTite is a minimally invasive procedure that uses a thin, plastic-tipped wand inserted under your skin to apply radiofrequency waves to tighten skin and contour areas of sagging. This procedure typically uses a local anesthetic, so you can stay awake without feeling pain during the procedure. 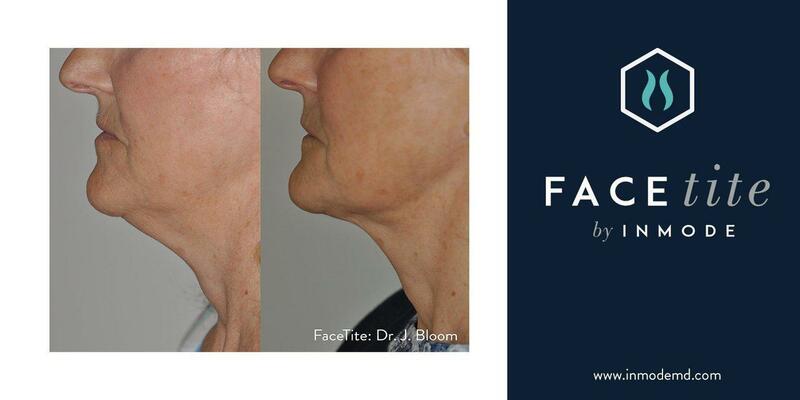 Since FaceTite works on small, delicate areas, it utilizes a tiny internal wand that allows for less swelling and bruising after a treatment and a shorter recovery time than traditional facelifts. If you’re tired of sagging skin on your face and jawline, or simply want a more youthful appearance, schedule a consultation with Dr. Brill to discuss your treatment options.